Description Beonex Communicator belongs to the Mozilla family of browsers, i.e. is a sibling of Netscape 7. 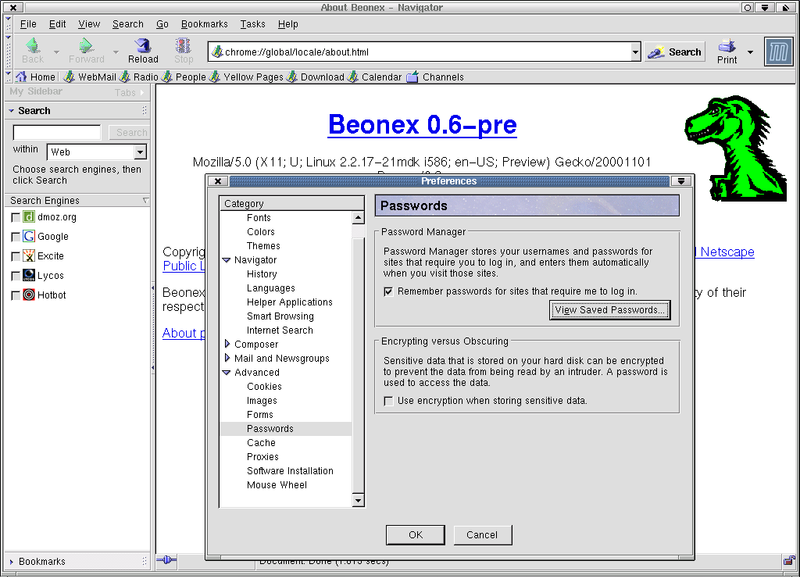 Beonex Communicator contains: Navigator (browser), Mailnews (email/news client) and Composer (web page editor).